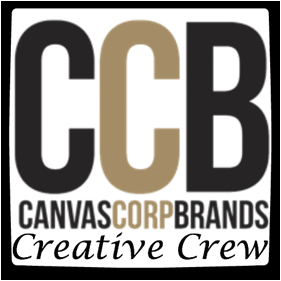 I'm thrilled to be participating in the Craft Blogger contest. 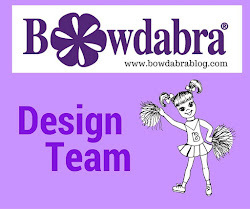 The contest is open to those who attended the FaveCrafts Blogger Event at the CHA in January. I was so excited to attend the Blogger Event and meet with so many amazing companies. 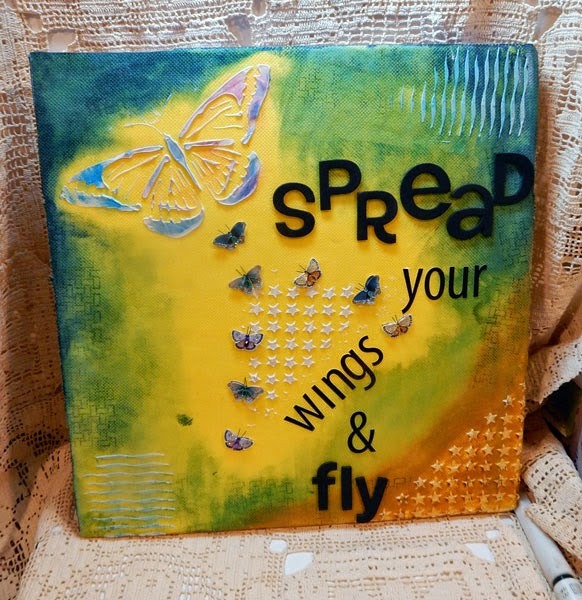 I've created a mixed media panel using products from Fairfeld foam, Olyfun, Plaid paint, Stencil 1, Clearsnap Art Screens for Ann Butler and Little B butterflies. 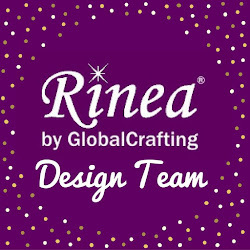 If you like my project, please vote for me. 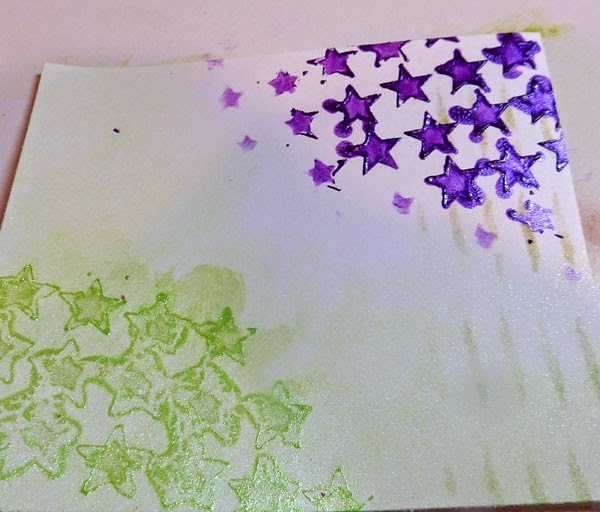 Hi everyone, I have a post up today on the So Suzy Stamp blog. 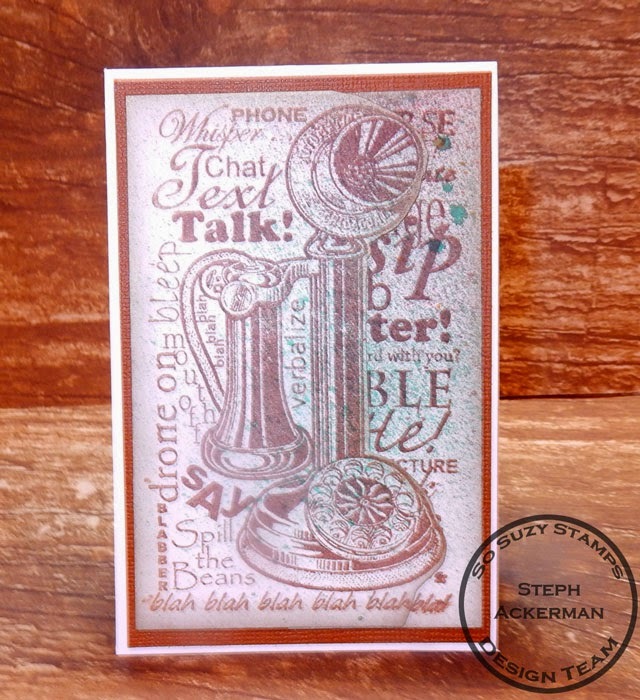 I've used the Chatter stamp - it is so much fun with that old fashioned telephone and the assorted words surrounding it. I simply spritzed the background and once dry, stamped the image on top. For my next card, I cut apart the image and put it back together on a smaller sized card. It looks just as good. 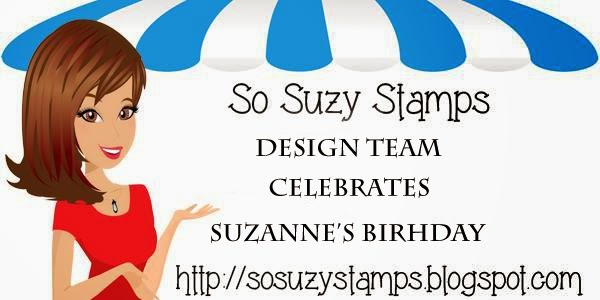 Be sure to stop by the So Suzy blog for lots of inspiration and fun new stamps. It's a new challenge at Cornish Heritage Farms, and Amber has asked us to create a snow themed card, after all we are still in winter mode. In New York, we are experiencing the coldest couple of weeks on record - lots of snow, wind and ice. Brrrr!!!! So, this challenge was perfect. 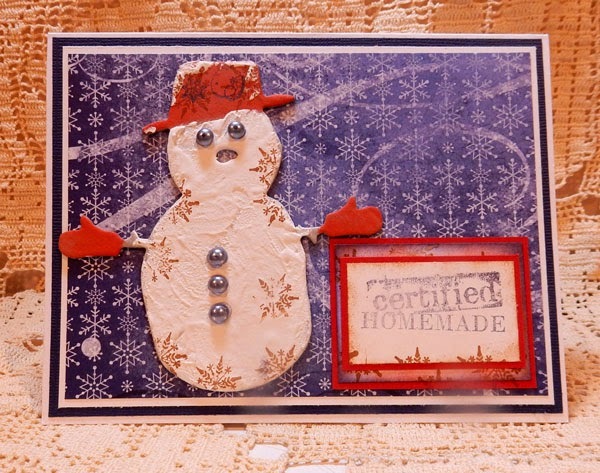 The chipboard snowman was covered with gesso to give him the appearance of snow and several snowflakes from the Night Before Christmas stamp set were stamped about him in brown ink. I thought the sentiment, also from the Night Before Christmas, was perfect. Hi everyone and welcome to a surprise birthday hop for Suzanne. Happy Birthday Suzanne! You should have arrived from Jenny Johnson's blog. If you just stumbled in, then head on over to the So Suzy blog for the full hop list. Comment on each blog for a chance to win a $15 SSS gift card or a free one month subscription to El Atelier de Stampartpapel. 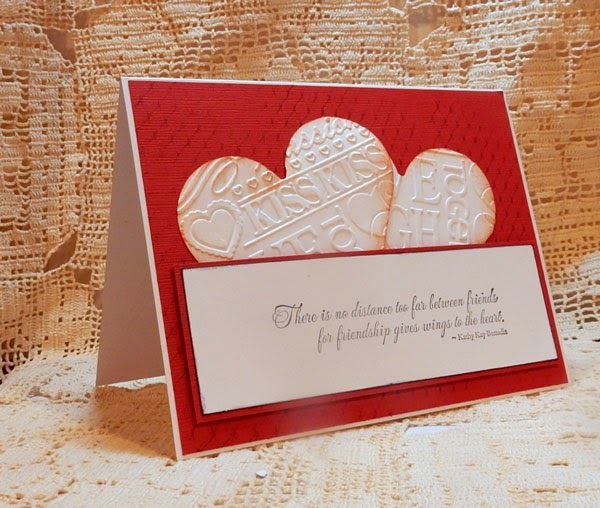 Winners will be chosen at random and announced on Monday, February 23rd, at 12noon on the So Suzy Stamps blog and will have 2 weeks to claim their prize. 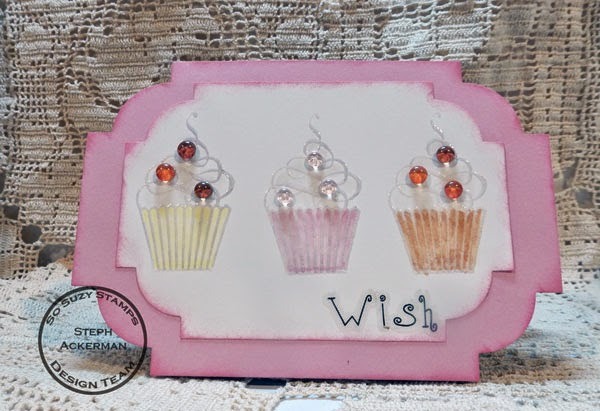 Today I'm using the Skinny Cupcake Swirl which I stamped and embossed three times with clear embossing powder. The cupcakes were colored with Copic Markers and I added sprinkles on top using dew drops. 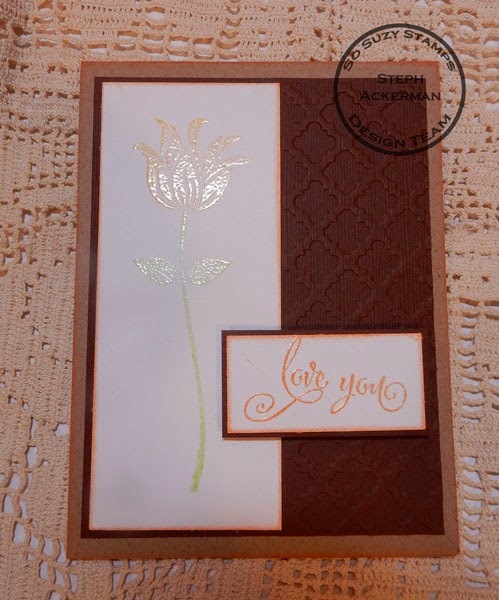 The card was die cut with Spellbinders dies and the top layer was added with foam adhesives to give it some dimension. 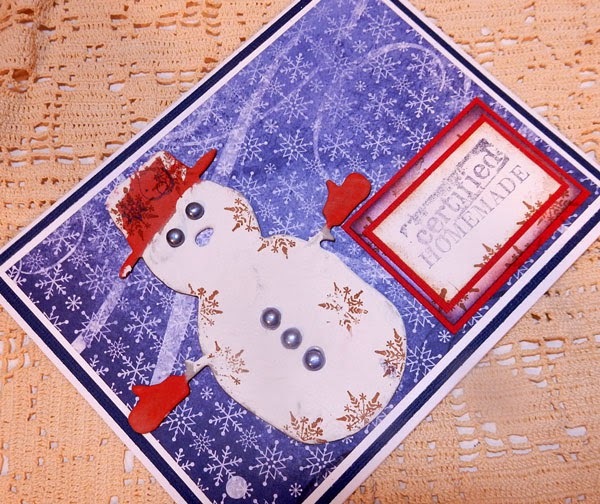 Now hop on over to Jennifer Loftfield's blog to see what she created. 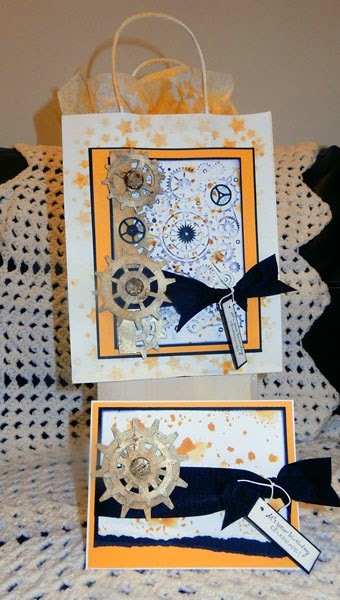 Today's post on the Art Anthology blog is this steampunk gift bag and card. Be sure to stop by the blog for all the details. Hi everyone. I've got a post on the ETI blog today. 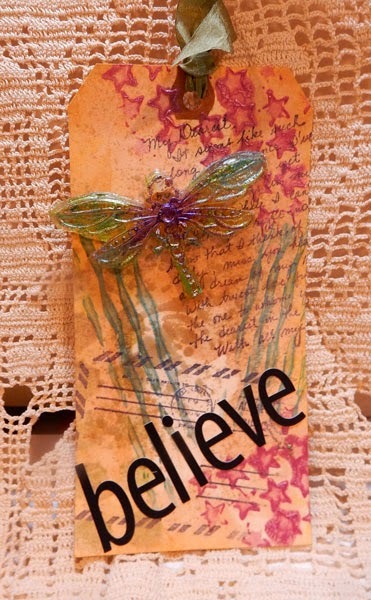 Hope you check it out - it's an amazing dragonfly tag. I used the EasyMold Silicone Putty to create the reuseable dragonfly mold. Check out this post for all the details. 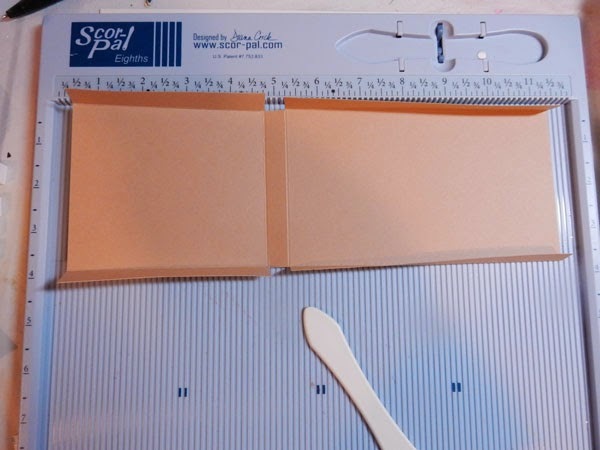 Below, I'm posting the tutorial for creating the pouch to hold my tags. 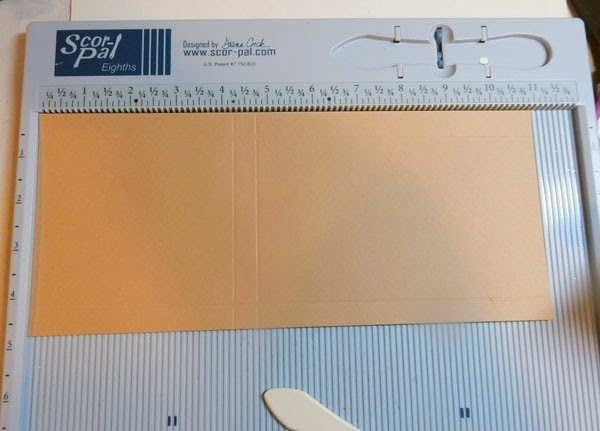 Cut cardstock 5" x 11"
Using the Scor-Pal, score at 4 1/4" and 4 1/2"
Rotate and score at 1/2" and 4 1/2"
Using a baby wipe, lightly rub over the Iridescents to blend and create shading. 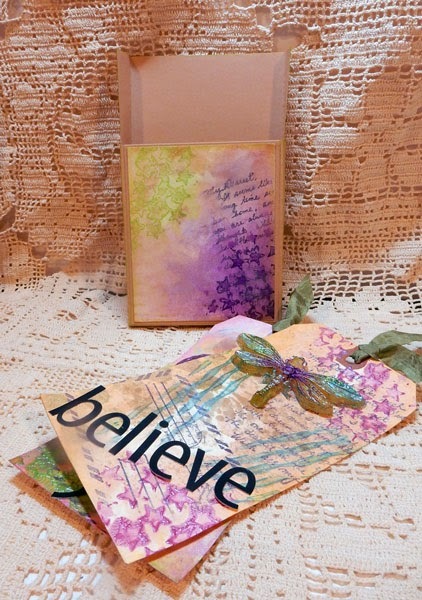 Rub Orchid Iridescents through the Stars Art Screen, and again use a baby wipe over the design. 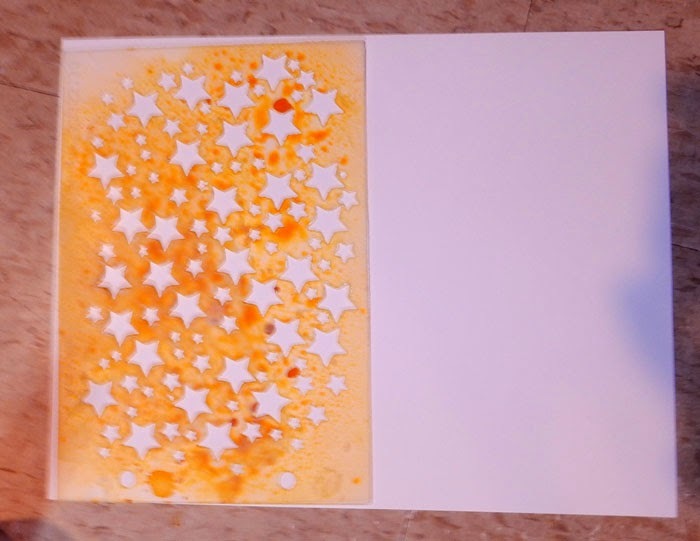 Blend the colors toward the center using a baby wipe so the colors overlap. Sprinkle Pearl Iridescent Powder on top of the panel and move it around with your finger. And the finished tags into the pouch. These Iridescents are absolutely amazing! 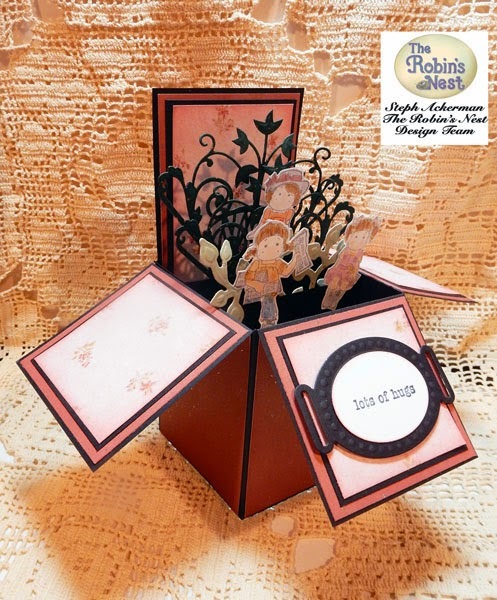 Check out my post on the Robin's Nest blog today. Hi everyone, I've been working with a fun etchall product today. 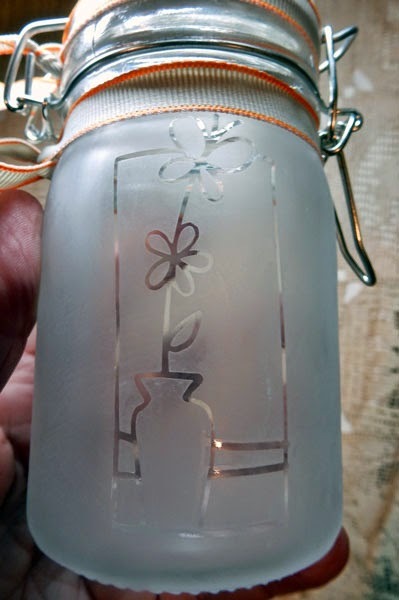 It's called etchall dip'n etch liquid and this product allows you to created frosted glass! 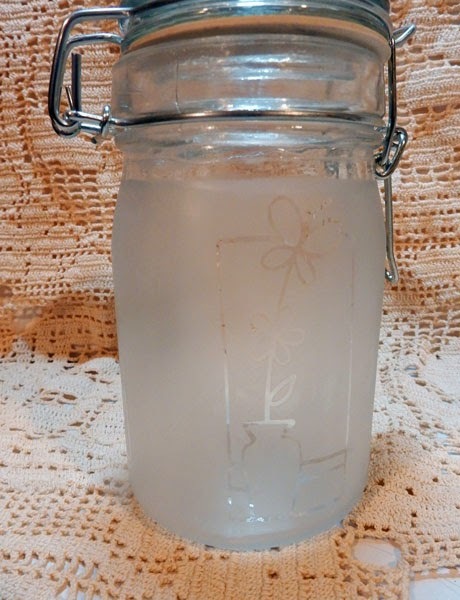 It is so easy to create frosted glass using etchall Dip 'N Etch liquid. 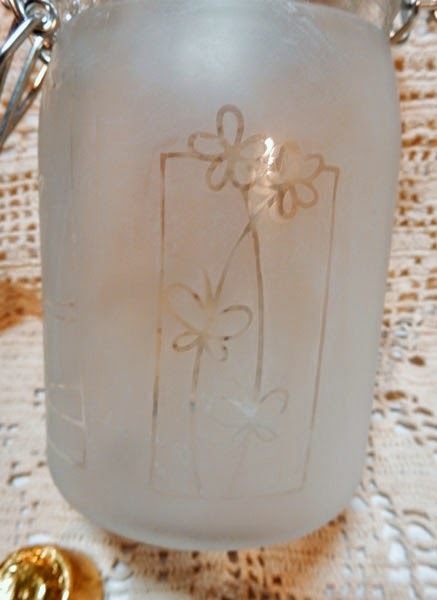 I wanted to etch a mason jar, so I first removed the top and then placed Stampendous Class A Peel stickers around the jar. 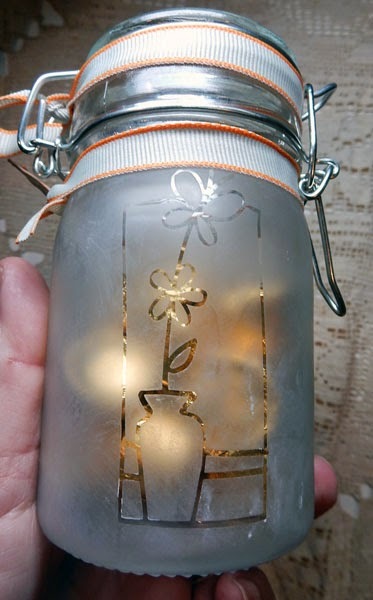 After measuring the required amount of dip 'n etch in a small container, I placed the mason jar in the container and allowed it to sit for approximately 15 minutes. After 15 minutes, I removed the mason jar. 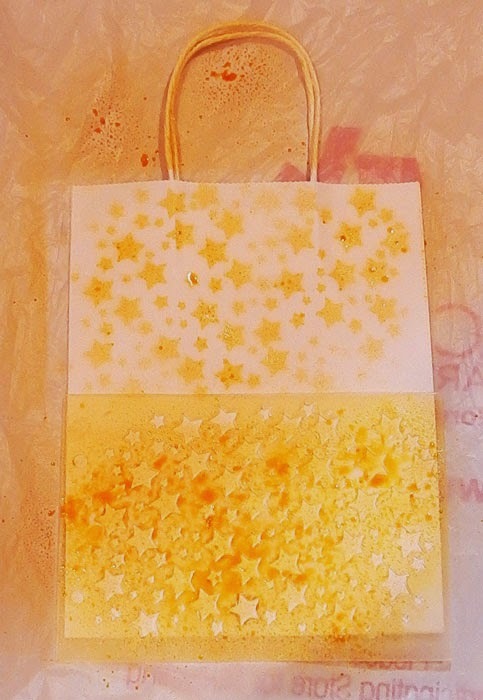 Then, after removing the stickers, I rinsed and dried the jar and these lovely images showed. 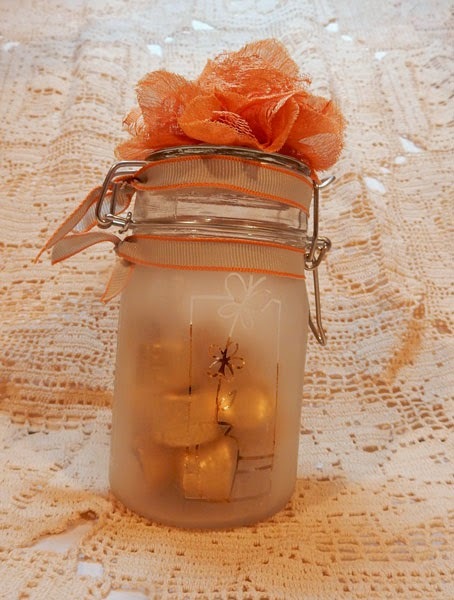 I added some ribbon around the top of the jar and around the lid and then placed candy inside. 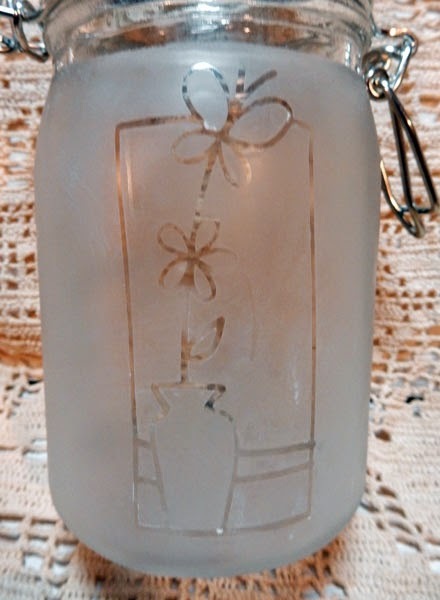 A simple coordinating flower finished off the jar. I'm thinking these would be lovely as a party favor, don't you? What will you etch today? Please stop by the blog to see how I created this mirror. 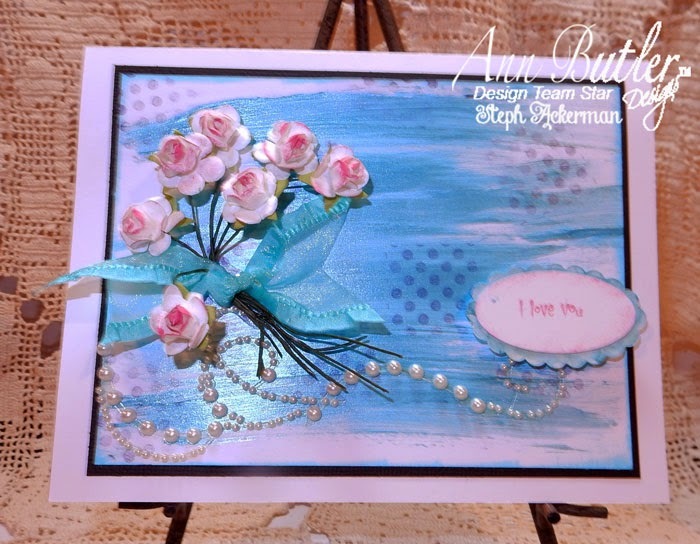 Welcome to a LOVEly blog hop with Clearsnap and Ann Butler Designs! 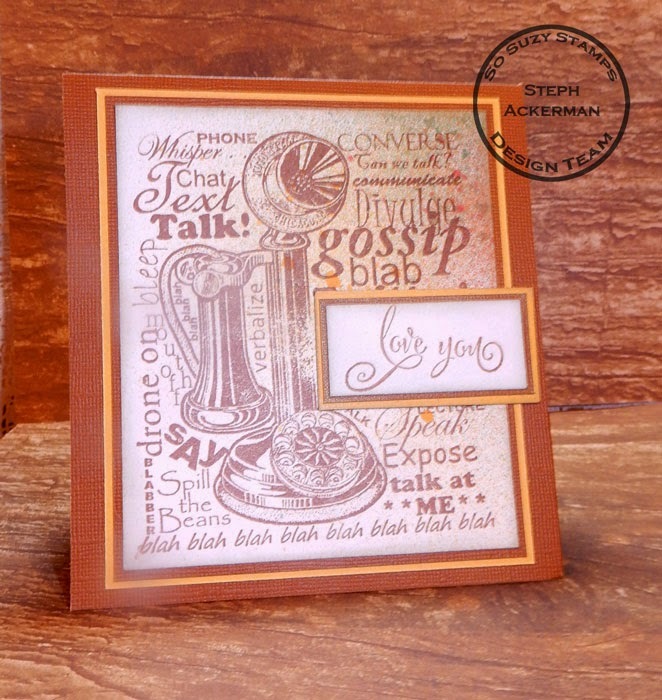 Last month at the CHA trade show, we released a new collection of foam and rubber stamps with Ann Butler Designs, called Background Basics, to compliment her line of ColorBox Crafter's Inks and her existing faux quilting stamp lines. 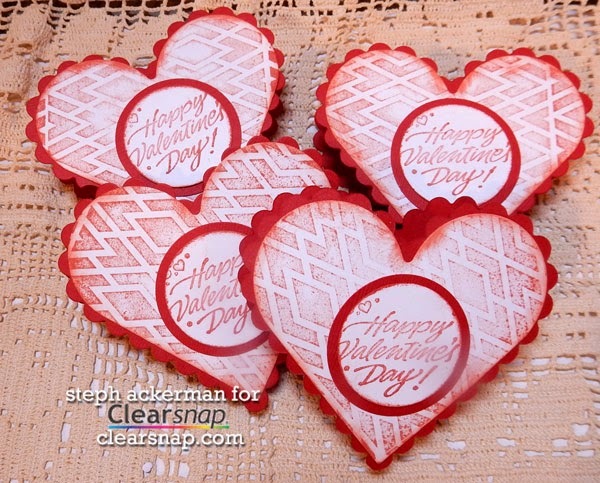 Today, our teams are sharing Valentine craft ideas you can make tonight for your special someone for Valentine's Day. Hop along to each blog in the hop and leave a comment on each post. 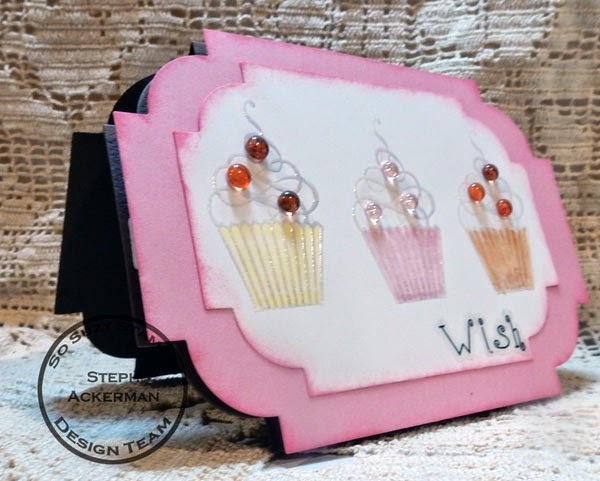 Then, use the Rafflectoper widget at the end of this post to win an assortment of Ann Butler Designs' new Background Basics stamps with Clearsnap! 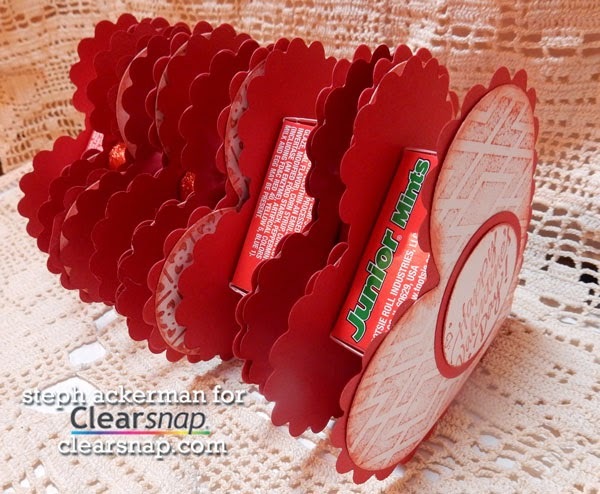 My project is a quick and easy Valentine's Day candy themed craft the kids can help you with. 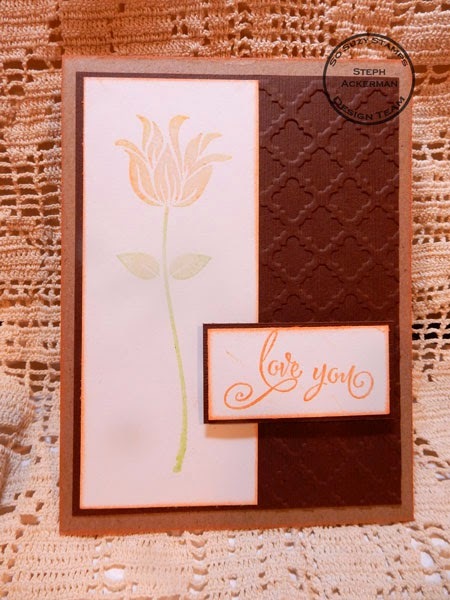 Using the new ColorBox Basic Backgrounds by Ann Butler in Diamonds and Picnic1, stamp each one on a sheet of white cardstock until the cardstock is covered. 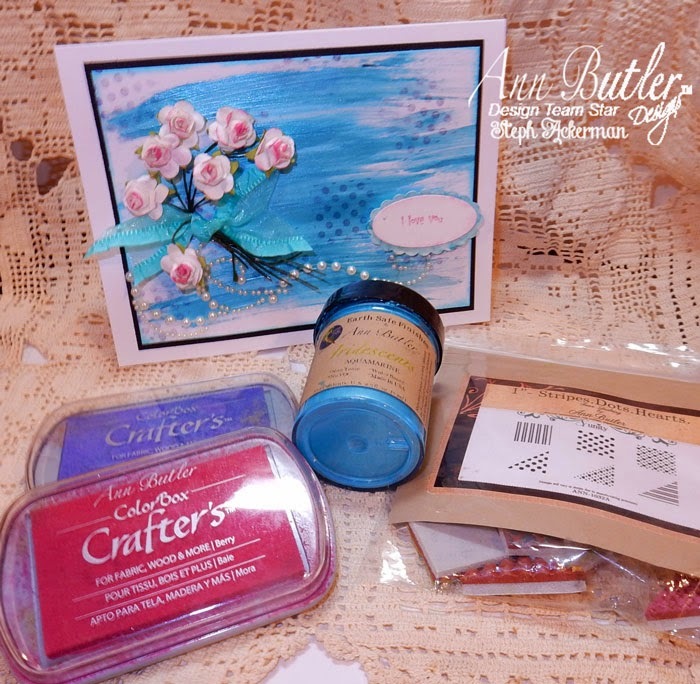 The Diamonds were stamped with ColorBox Crafter's Ink by Ann Butler in Canyon. These backgrounds are 3" foam stamps so little hands will be able to easily stamp the designs. Don't worry about complete coverage - just let the kids have fun. 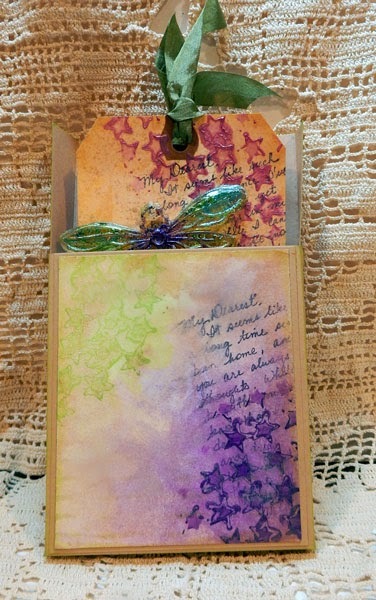 Picnic1 was also stamped with ColorBox Crafter's Ink by Ann Butler in Canyon. Once dry, hearts were die cut from each sheet. 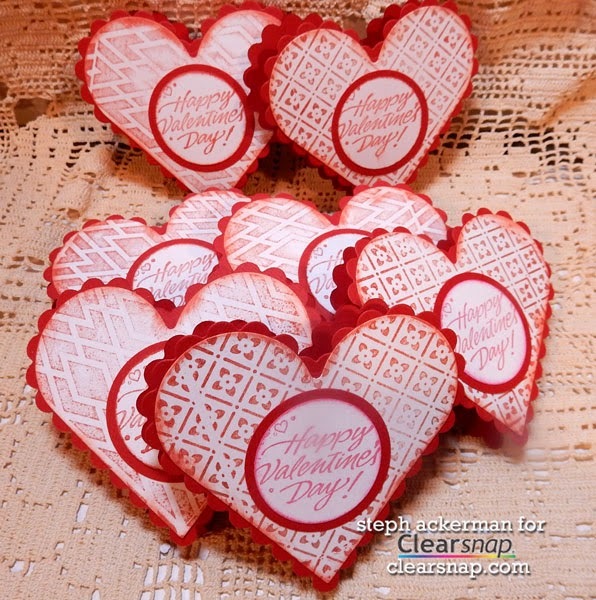 Die cut red scalloped hearts and add the stamped hearts on top. Assemble as many hearts as you'll need (2 for each treat). 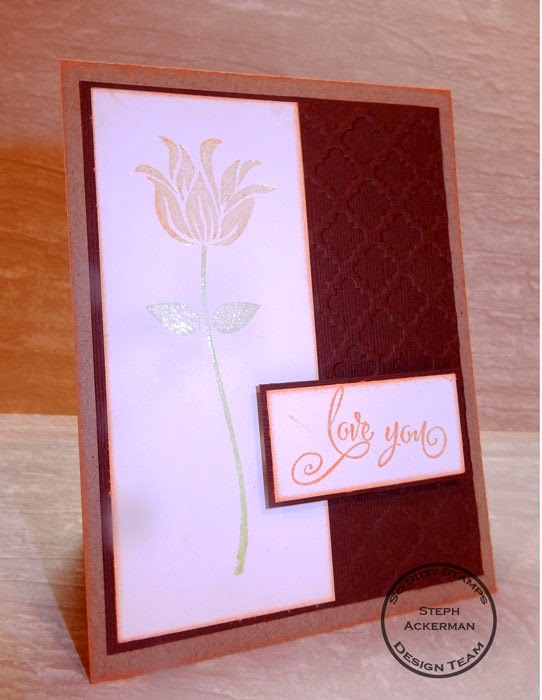 Stamp "Happy Valentine's Day" on white cardstock in Canyon Ink. 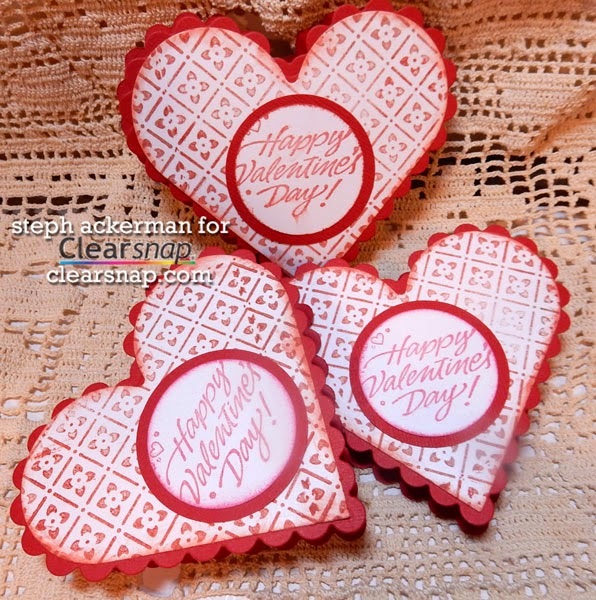 Die cut the sentiment, add to a larger red die cut and place in the center of the hearts. 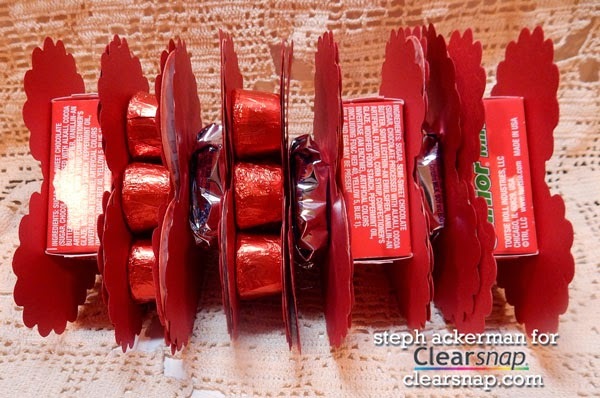 Now grab some individually wrapped candies and sandwich them between 2 hearts. Here's a view of the hearts filled with assorted candies. I am sure the kids will have fun making these (and eating them as well)! 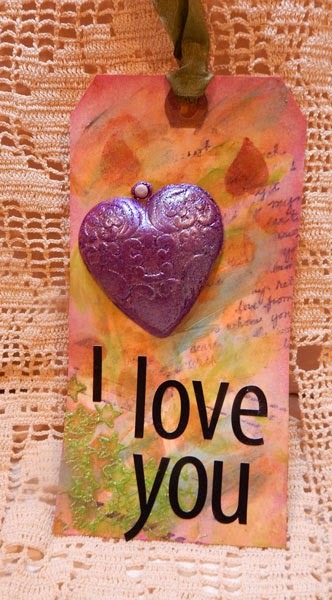 Please stop by everyone's blog to see their Valentine's Day projects. 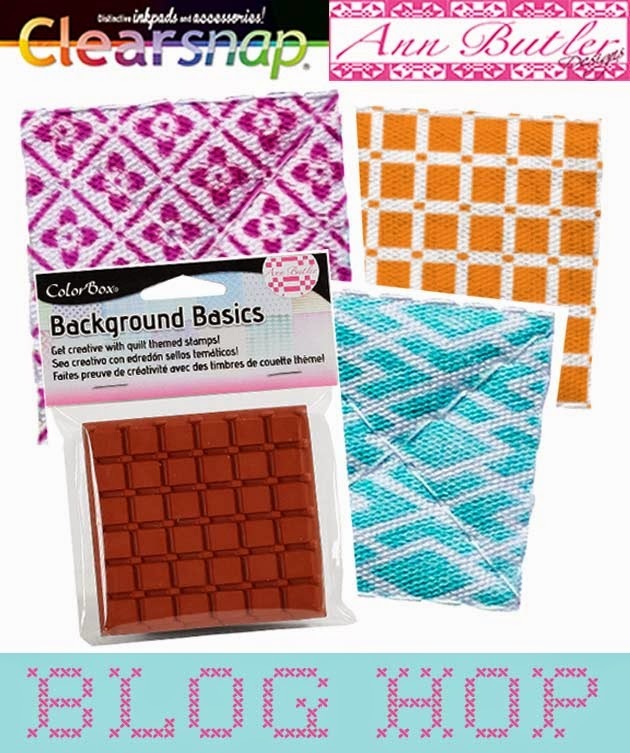 What would you create with the new Background Basics stamps? Tell us in the comments! 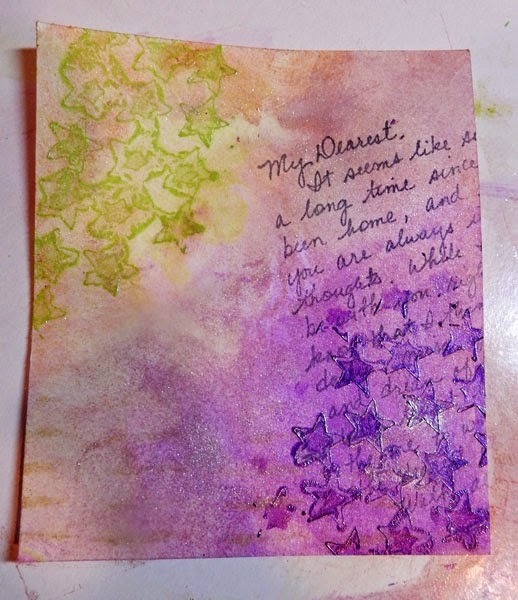 And before you go, don't forget to enter to win a set of Background Basics stamps here: a Rafflecopter giveaway. 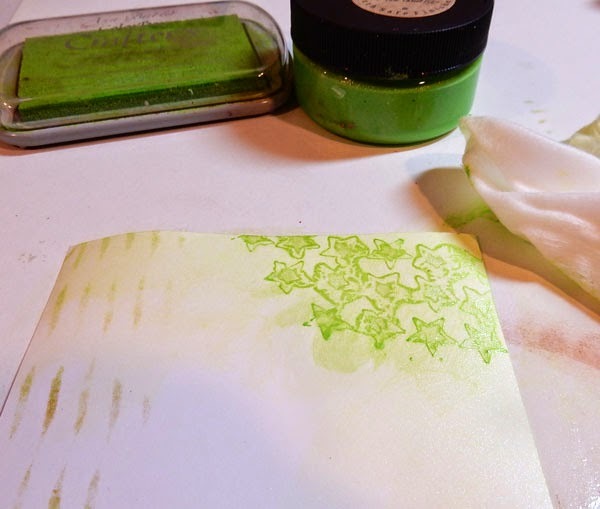 I've used this amazing Tulip Stem stamp, inking it with Clearsnap Crafter's Ink in Tangelo and Limelight and then I embossed it with clear embossing powder. The love you sentiment was also stamped and embossed. 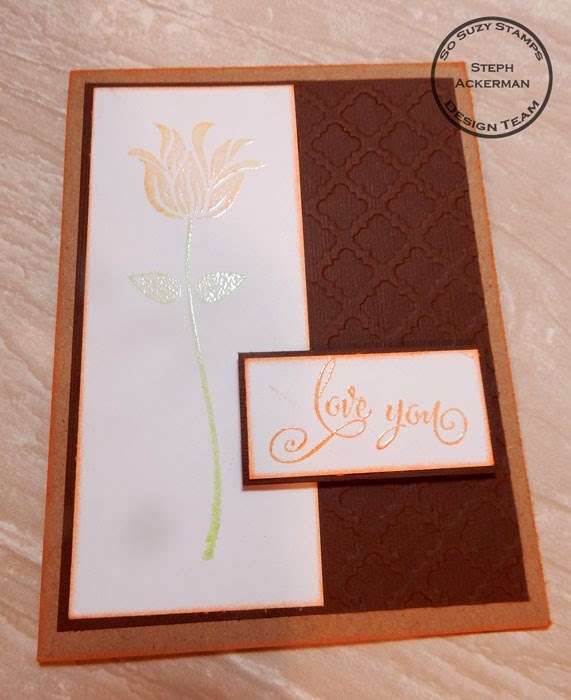 The Tulip Stem was matted with brown cardstock and since I thought the right side was rather plain, I embossed it with a Sizzix embossing folder. Check out how glossy the Tulip Stem looks when embossed! 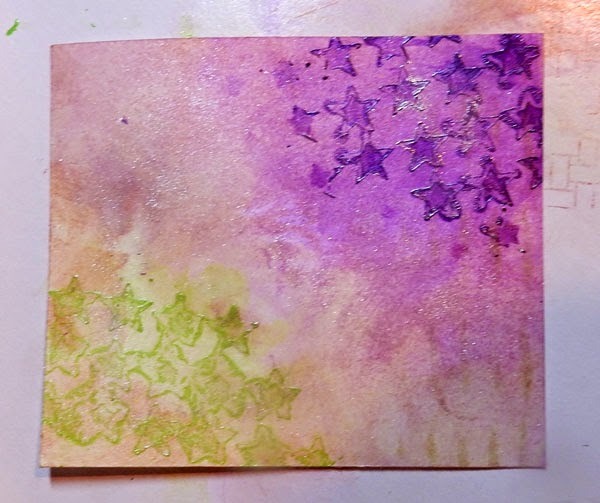 Add the panel to a Kraft card and lightly ink the edges. It's a new challenge at Cornish Heritage Farms, and Kelly has asked us to create with a love theme. As Valentine's Day is just around the corner, it's the perfect time to create a card for those special people in your lives. 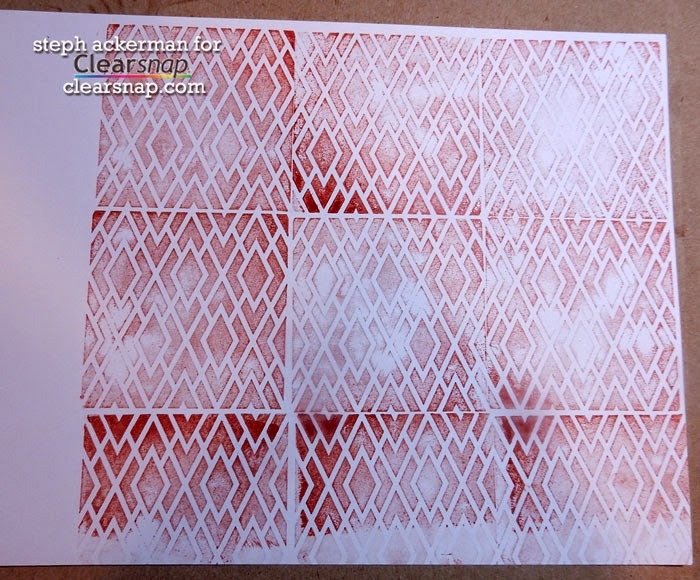 I created a background using the Netting Backgrounder stamp. 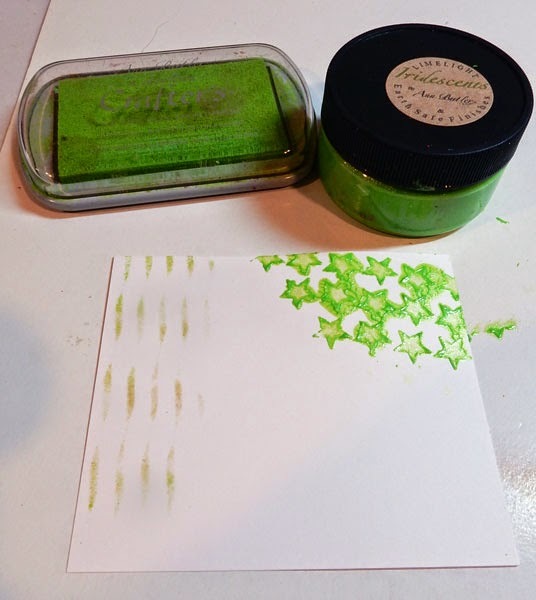 This is the perfect stamp to create a subtle (or not so subtle) background. 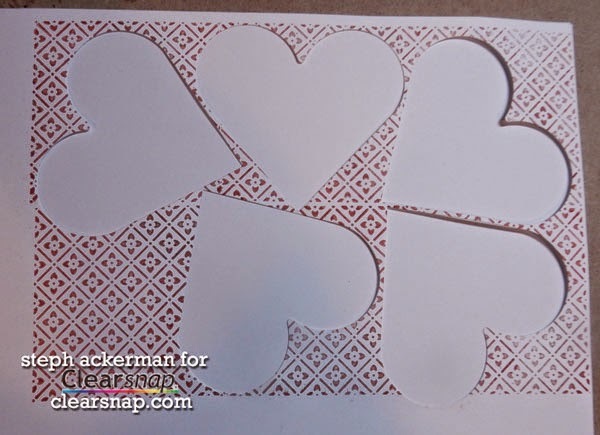 I die cut and embossed 2 hearts and arranged them on top. 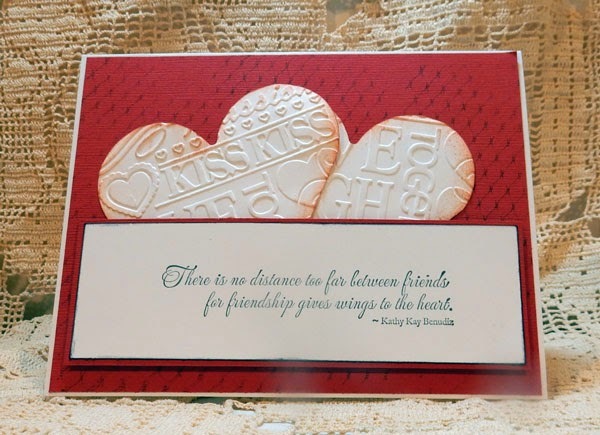 The sentiment is from one of the new stamp sets - Friend Expressions - which consists of 10 phrases on 5" x 6" rubber. Have you seen the new stamps available in the store? If not, check them out because you are going to love them. Good morning everyone, have you seen the NCAA licensed products available from Clearsnap? These products include stamps, stamp wheels, inks, paint trays and tattoo ink. 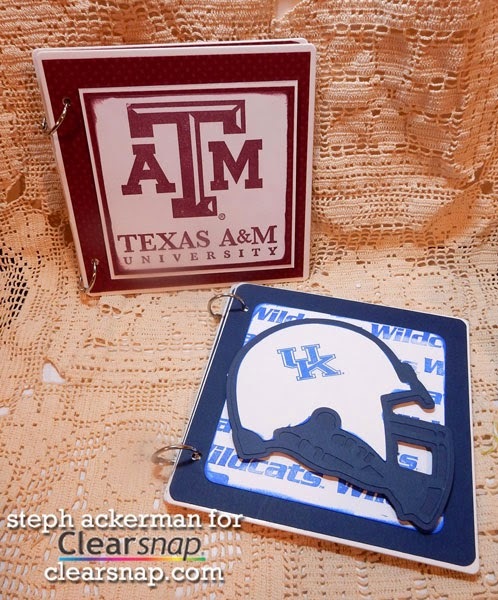 Check out the Clearsnap blog and see how I've created this college themed mini albums. 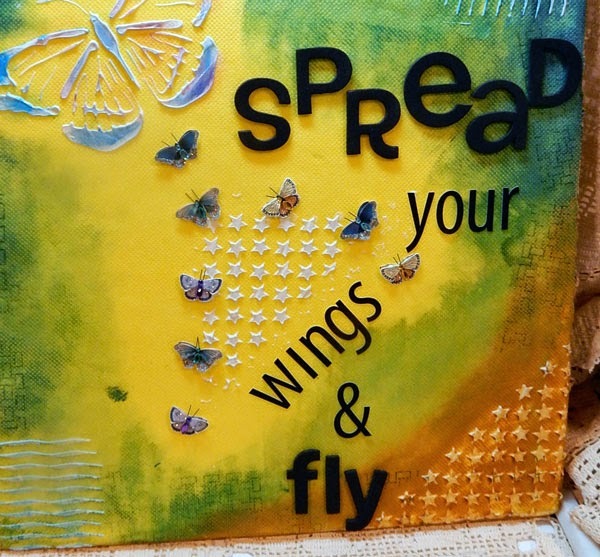 I've got several cards on the Art Anthology blog today using stencils, gesso and stamps. 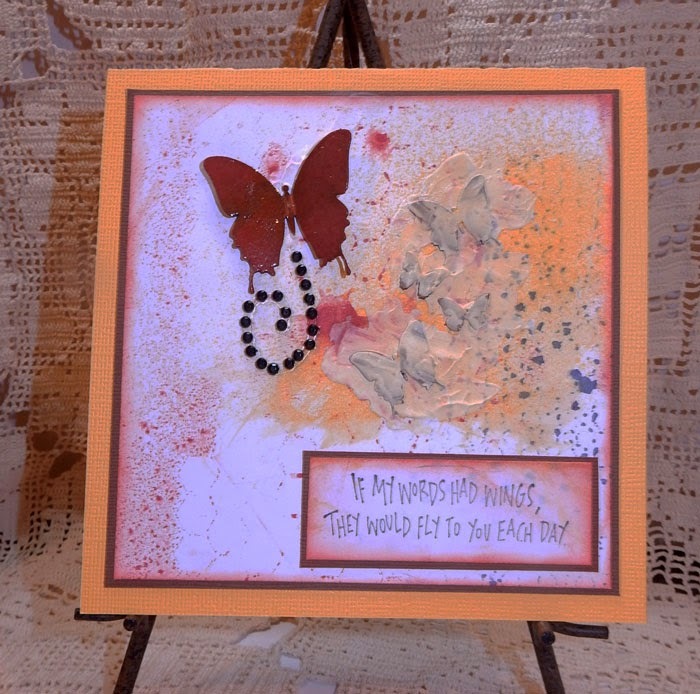 Butterfly card uses Gesso, Colorations and Stencils. 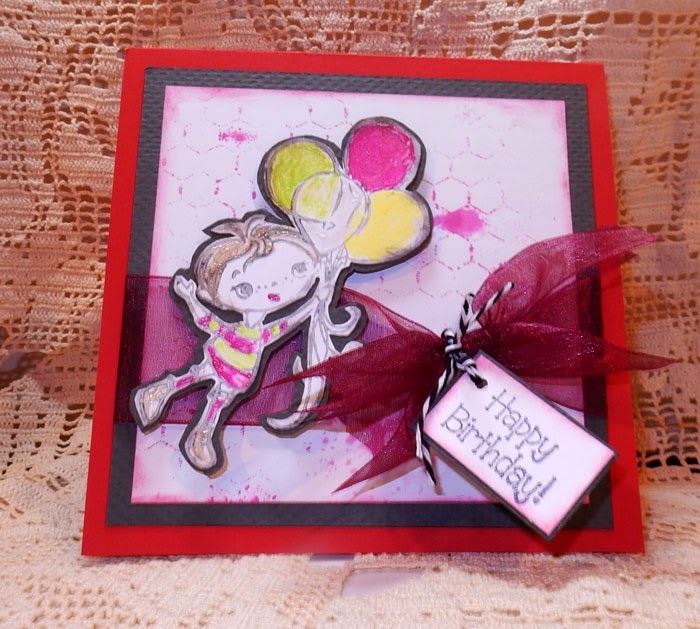 Happy Birthday card uses Stencils, Colorations, Velvets and a Stampendous stamp. 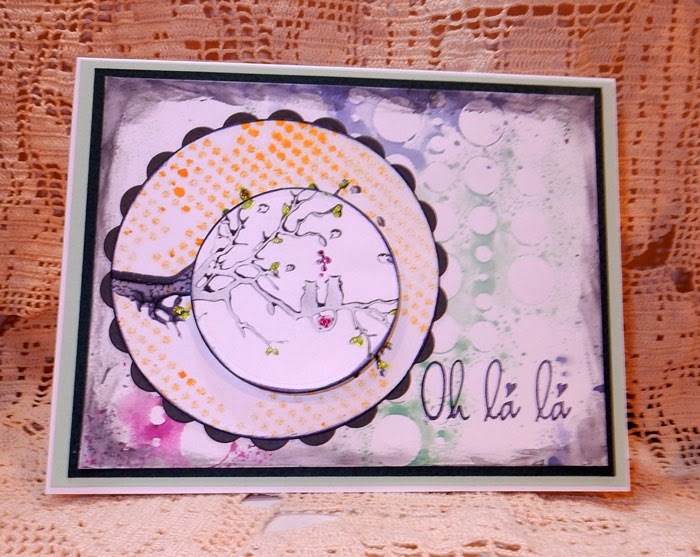 Oh La La uses Stencils, Velvet and So Suzy stamps. Stop by the blog for all the details. 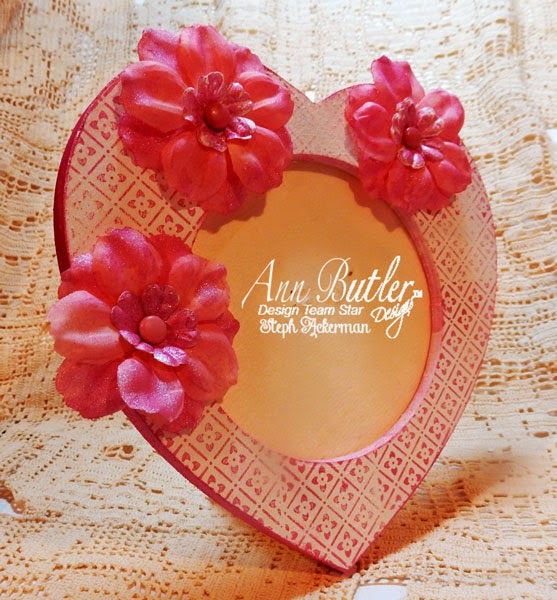 My post today on the Ann Butler Design's blog. Hi everyone, I've been busy playing with the amazing products from ETI, seeing all the different ways these products can be used. 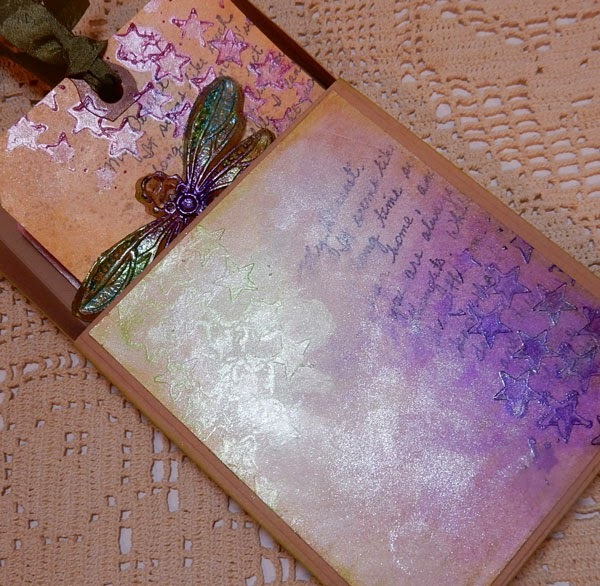 I found some fabulous metal embellishments - a detailed filigree heart and an awesome dragonfly, and I knew they'd be fun to use them with ETI products. 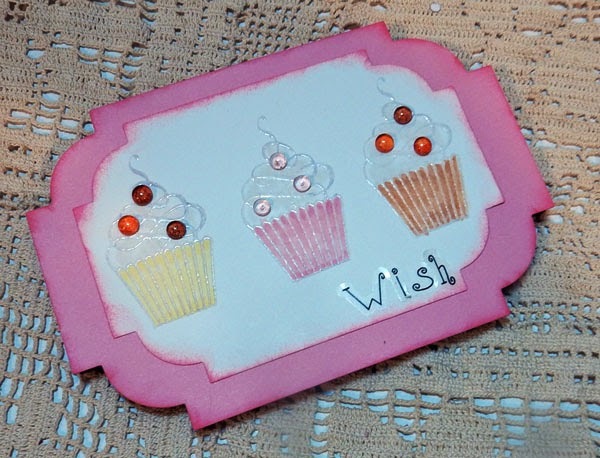 Pop on over to the ETI blog and see how I created this amazing tag. This was so much fun to create and I can't wait to show you what else I create with ETI products.